Iceland is the lead understood European country. Iceland is not a land of ice as the name implies. It is the second largest country in the European continent. It is also the youngest and the last settled country in Europe. Iceland is a land of contraries. You can find glaciers and volcanoes, hot springs and extensive lava, sandy desert and sumptuous vegetation. Many parts of the land are not habitable. The entire landscape is rugged and wild. Iceland covers 103,300 km2 with glaciers for 11,000 km2 and lake streams for 2,700 km2. The country has forests spreading in the area of 1,511 km2. The largest lake in the country is Dingvallavatn and the highest peak is Hvannadalshnukur. The capital of the country is Reykjavík. The country has more than 300,000 people and about 150,000 people live in the capital. The other percentage of people are scattered along the coastal areas. Many interior parts of the country are not suitable for living. The average life span of Icelanders is 80 years. The climate is moderate around the year and the Gulf Stream keeps the country warm. The summer has endless days and nights of sunlight and winter has endless days and night so darkness. Since Iceland has many volcanoes out of which 30 have erupted in the past two centuries. These provide geothermal power for the country. The rivers flowing in the country provide hydroelectric power. 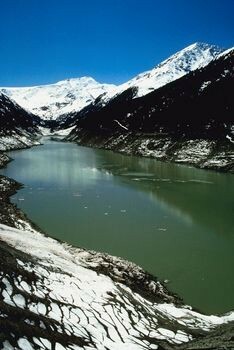 As there are many hot water rivers, the country gets pollution free heating. 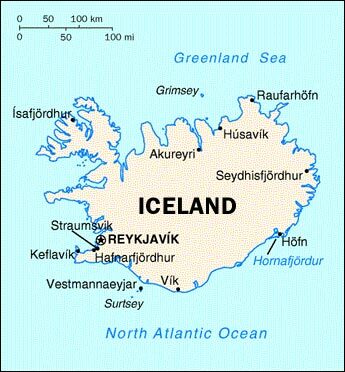 Iceland is the place where the Nordic people settled in the early 9th century. Ingólfur Arnarson, a Norwegian Viking is the first person to settle in the capital. So the people follow the Vikings language and the language has been improved by many civilizations. The people of island use patronymics instead of surnames. Hence members of the same family have different surnames which are confusing for the foreigners. The people of Iceland follow ancient heritage along with modern innovations. They live in perfect harmony. The country has many artists who are experts in singing and music compositions. Many colorful festivals are celebrated at different times and theme exhibitions are conducted often. The country hosts supreme cuisines that provide sea food delicacies. Iceland is the country which has one of the world’s first republican governments. Now the country is ruled by parliament called as Althing which has 63 members. These members are elected every four years. The head of state in the country has no influence on the day top day politics. The country’s economy greatly depends on fishing. Most of the people in the country are related in fishing and other related jobs. The government now concentrates more on travel industry and the export industry is the second largest industry that is next to fishing industry. The country finds most of its money by exporting sea foods. Iceland is a recognized member of the European Economic Area (EEC) and European Fee Trade Association (EFTA). Travel insurance is not provided by the tourism department. Apart from that the medical assistance and the health care facilities are very good in the country. Many activities in the island attract more and more tourist. Some of them include whale watching, bird watching, hiking, horse riding, skiing, cycling, fishing, kayaking and glacier tours. 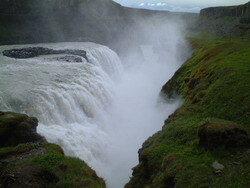 The people of Iceland are hospitable in nature and you can have a great vacation when you visit Iceland. The country has anything and everything the nature can provide. Since the climate is always warm you can visit the country in any season. Iceland: What's On Offer For Your Next Holiday? But what else does Iceland have to offer? Well, how about the presence of 30 active volcanoes and the associated spectacular lava fields? Or upwards of 10,000 waterfalls, 800 hot springs, maybe ten million puffins, the Northern Lights and the Midnight. Sun Or how about the beautiful Blue Lagoon, only 20 minutes from the airport, with its milky blue seawater at a temperature of 39°C? Well worth seeing, a good idea is to visit this famous spectacle and spa as part of the airport transfer either on arrival or departure. This means that you avoid going back over your route and using up holiday time which could be better used on even more alternative excursions. For those looking for a great city break idea, Reykjavik is a must for its friendly, party atmosphere. There is something for everyone, Reykjavik's nightlife is amazing. But for a more relaxed evening for those who prefer things a bit more easy-going, there are also many quieter restaurants with prices ranging from very a reasonable £13-£22 for a main course. Well-recommended is the Lobster House - one of Reykjavik's most famous seafood restaurants. Visitors have a wide choice of operators based in Reykjavik who offer extended day tours for Iceland's. An example is the 'The Golden Circle', one of the most popular day tours covering Gullfoss waterfall, the geothermal Geysir area - where Strokkur geyser erupts every eight minutes. Also Pingvellir National Park, which is the site of the world's oldest Parliament and where the mid-Atlantic ridge is visible and the Hellisheioi Power Plant at Hengill. This eight-hour day trip with pick up and drop off from hotels is available for around £55 per person. For those looking for outdoor activities and adventure, there is much to choose from. Super-Jeep safaris, white­water rafting, caving, hiking, snorkelling, climbing, kayaking and snowmobiling are just a few of the many activities possible. Whale-watching tours are also available directly from Reykjavik harbour with prices from around £43 per person. However, another great option is to hire a car. Driving in Iceland gives you traffic­free roads stretching for miles and with awe inspiring scenery, Most attractions can be seen along Iceland's 830-mile long Highway 1 or 'Ring Road' which skirts the entire coastline, apart from the West Fjords. For the UK holidaymaker, Iceland is closer than most people think. Visitors can be there within less than three hours from Heathrow, Manchester or Glasgow with Icelandair. Flights are also possible from Gatwick with Iceland Express to Keflavik Airport. In short, a holiday in Iceland is an unusual and exciting experience. Visitors are warmly welcomed, English is widely spoken, and life is easy-going amongst the unique island scenery.